Where was the Chetwynd Arms Hotel? One of my research dilemmas about Chetwynd was the location of the Chetwynd Arms Hotel in the town of Chetwynd on Lake Ella. As you will note below, Lake Ella is not a very large lake. This particular photo was taken from a vacant lot on the northeast side of the lake. Just as it might have been over 125 years ago, homes dot the east half of the shoreline; the rest is as it appears above. So where might the hotel have been located? All of the owners of the lots on the east side purchased in 1885-1886, the only sales recorded, have been identified. Those owners include Granville Chetwynd-Stapylton’s bank partner, William H. Morrison, who owned a large and expensive home that burned in 1892. Meanwhile a colony descendent, Alfred P. Bosanquet, in an undated copy of a presentation to the Lake County Historical Society several decades ago, said, “Mr. Morrison built a beautiful home and the Chetwynd Arms Hotel on the west bank of Lake Ella. Nearly all of the land on the west side was owned by the Chetwynd Land Company whose officers were Morrison and Dr. Samuel B. Smallwood. 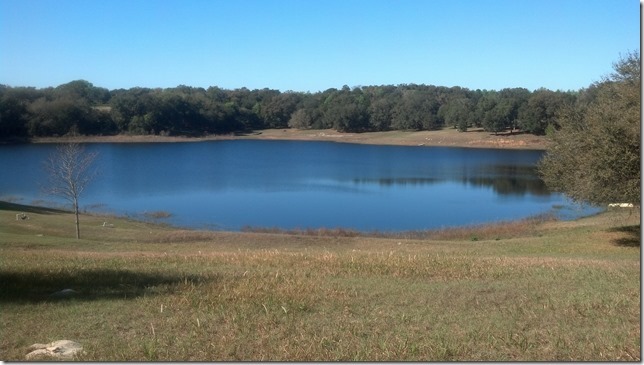 Smallwood owned a 26-acre lot somewhat northwest of Lake Ella. Now, having said all this, the Southern Railway’s Chetwynd passenger depot was due east of the town. Although there was a 30 feet wide road around the lake, it makes no sense to have brought guests around the west side of the lake to a back door entrance of the “house.” And so, as the song goes, “I’m right back to where I started from!” Where was the Chetwynd Arms? Known for my penchant to pickles I’d like you to know that Dr. Samuel B. Smallwood patented a machine to assort pickles in 1890.